Our System 4600 Hi-Temp Infusion Epoxy is an excellent option for composite tooling that requires higher service temperatures. This low viscosity epoxy system has found good acceptance for use in vacuum infusion fabrication and tooling processes. The low mixed viscosity of this system allows it to penetrate the reinforcing materials easily and completely, producing a void-free, dense composite component and making it an ideal selection for molds and tooling. System 4600 has very good hot strength, so cured parts or tooling fabricated with it can provide good service in elevated temperature operating conditions up to 300°(F). 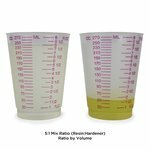 In the thin film of the infusion process, System 4600 Hi-Temp Infusion Epoxy will gel hard in 18 to 24 hours at temperatures around 77°(F). 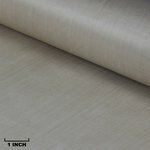 At this point, the laminate must be post cured to complete its cure and develop full physical properties and heat capabilities. 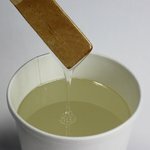 A typical post cure would be: Gel at room temperature, followed by an oven post cure of 3 to 4 hours each at 150°(F) and 250°(F), followed by a final cure of at least 8 hours at 300°(F). If the final curing temperature can be increased to 375°(F) instead of 300°F, then 4 to 6 hours at the 375° temperature will complete the cure. This cure cycle will result in reliable, durable, long-lasting parts and tooling. A post-cure temperature exceeding the expected service temperature is necessary for high temperature applications. Mixed viscosity of 575 cps flows easily. 80-90 minute pot life at 77°(F). Will gel in 18-24 hours at 77°(F). 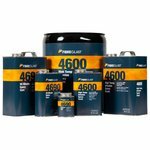 System 4600 High Temp Infusion Epoxy Resin quart (#4600-A), gallon (#4600-B), and 5-gallon (#4600-C) units can be shipped via standard ground service, and by air, without hazard charges within the 48 contiguous United States. All System 4600 Epoxy Cure 1/2 pint (#4690-A), quart (#4690-B), and gallon (#4690-C) units can be shipped via standard ground service without hazard charges within the 48 contiguous United States. 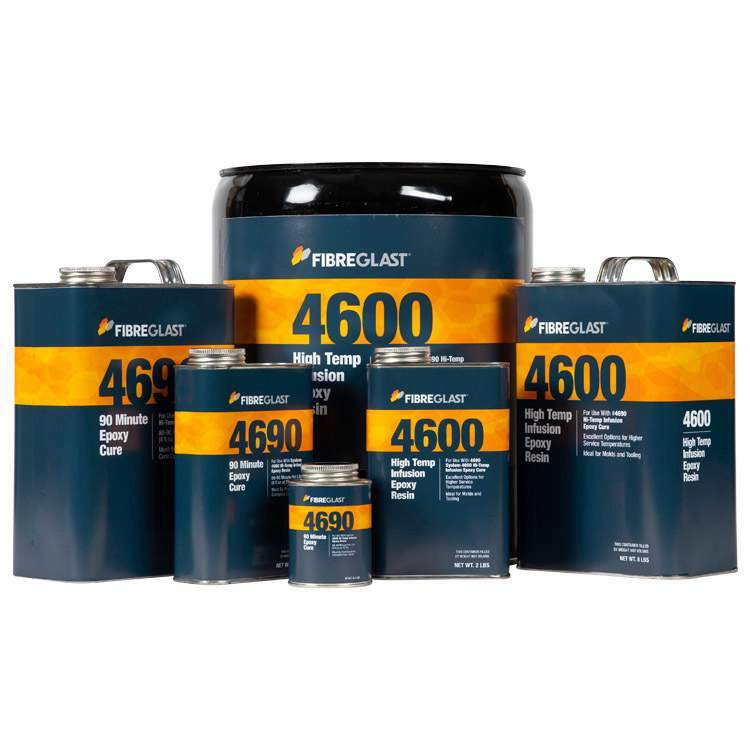 All sizes of System 4600 Epoxy Cure (1/2 pint, quart, and gallon) will be subject to a hazard charge if shipped by air. Please see our Hazardous Shipping Chart for more information about hazard fees. 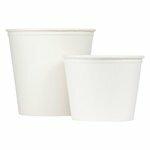 We will consolidate items whenever possible to minimize these fees. System 4600 High Temp Epoxy Resin is available in a variety of sizes that include: One quart (#4600-A) One gallon (#4600-B) A five-gallon pail (#4600-C). 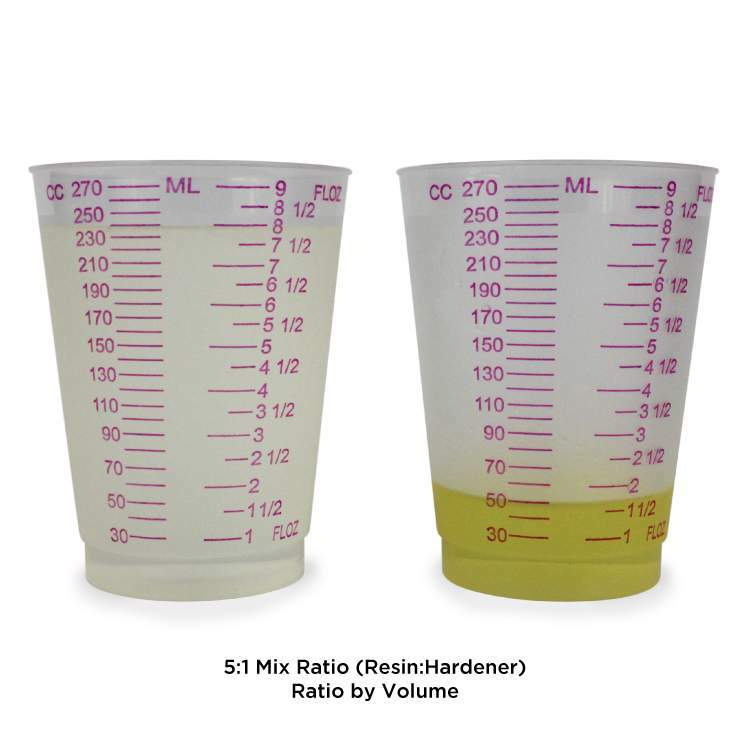 This resin system is sold in a kit with a 90 minute pot life cure: (#4690 90 minute).